where Qh is the human hepatic blood flow. The major contributing factors for the lower plasma exposure or shorter t1/2 (e.g. hepatic and extra-hepatic metabolism, renal and biliary excretion and volume of distribution) will be first determined. If the rat CLp values agree well with the rat CLhep values and the SAR of rat CLhep correlates well with the human CLhep, hepatic metabolism is then regarded as the primary route of elimination and the rat liver microsomal stability experiment will be implemented as the screening tool. If direct conjugations (e.g. 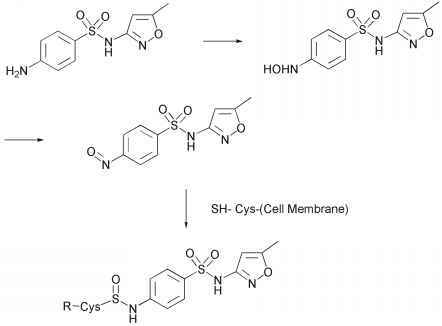 glucuronidation and sulfation) are possible, due to the structural features of drug molecules, S9 or hepatocyte stability experiments are carried out instead (Lu, 2004). Other animal models (i.e. mouse, dog, guinea pig and monkey) will be evaluated if rat is not the suitable species for the human PK optimization. For example, if the dog microsomal clearance correlates well with both human microsomal and dog plasma clearance, the dog microsomal assay can then be used as a human clearance model in rank ordering compounds. Biliary excretion may be examined if CLp is less than hepatic blood flow but greater than the predicted CLhep (using microsomes, S9, or hepatocytes) and the renal clearance CLr is low (Qh > CLp > CLhep >> CLr). Extrahepatic metabolism will be investigated if CLp is greater than the Qh and the CLr is low. Caco-2 permeability data can be used to assist in the oral bioavailability assessment, and in some reported cases (Lohmann et al., 2002), brain penetration. An in vivo cassette dosing PK scheme is generally used as the screening tool when renal or biliary excretions are the major routes of clearance. Figure 4. Species specific N-acetylation of ML106 in rat, human, monkey, and dog liver S9 fractions. and absence in the dog S9 (Figure 4) (Li et al., 2004). While the identification of the enzyme(s) responsible for the N-acetylation of these arylalkyl amines is in progress, the dog is a species known to lack N-acetyl transferases (NAT1 and NAT2), the enzymes that catalyze the N-acetylation of "aromatic" amines. The high clearance of these primary amines in rats precluded the potential to rank order compounds in this species. The absence of N-acetylation in dogs led the DMPK team to select monkeys as the appropriate animal surrogate for humans to screen new compounds.